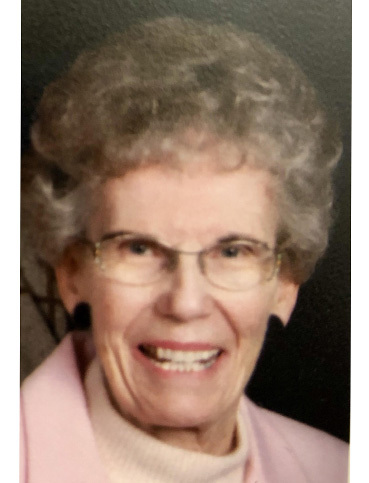 age 81, of Apple Valley MN, died peacefully at home on January 23, 2019 surrounded by family after a four-year struggle with Alzheimer’s. Clarice was born on April 12, 1937 in Barron WI. She was baptized and confirmed at First Lutheran church in Barron. She graduated from Barron High School in 1955 and from the Univ. of Wisconsin in 1959 with a degree in Elementary Education. She taught first grade in Bloomington MN for one year before marrying Ron on February 4, 1961. Her life then centered on being a wife, mother and grandmother. She loved to travel and she and Ron visited all the US states and 26 countries. Her hobby was genealogy and she published volumes of information to preserve family history for future generations and she planned many family reunions. She was also very active in her church. She is preceded in death by her son, Wayne Sprengeler; parents, Clarence and Ellen Hoff and brother, Don Hoff. She will be dearly missed by her husband of 57 years, Ron; daughters, Sonya (Brad) McCumber and Dawn (Abdul) Khalifa; son, Mike (Tricia) Sprengeler; seven grandchildren: Shelly and Kelly McCumber, Aisha Khalifa Berg (Nate) and Sammy, Ben, Jack and Lyla Sprengeler; brother, Larry (LuAnn) Hoff; sisters, Cheryl (Bob) Gehring and Sonya (Dave) Slattengren and many nieces, nephews family and friends. Funeral service, 11:00 am, Monday, January 28, 2019 with a visitation one hour before at Good Shepherd Lutheran Church, 151 East County Road 42, Burnsville. Clarice will be laid to rest at Fort Snelling National Cemetery. In lieu of flowers, memorials may be sent to Good Shepherd Lutheran Church, Shepherd Care Committee.